Our Orange County Party Bus will give you a night to remember. You can take over 30 friends to a party in Hollywood with VIP treatment, a weekend trip to Las Vegas where the you can party all night long in our party bus that has multiple big screen plasma tv's, a full bar and even a dancer pole. Not that type of party? That's ok too. For prom, you can take our orange county party bus and party to and from prom, to and from your dinner in a secure environment. Turn up the music and the let the fiber optic party lighting put you and your friends in a groove ... our OC Party Bus makes the for the perfect, memorable night. Call (949) 645-8911 or (714) 397-4944 or click here to secure your party bus reservation today! 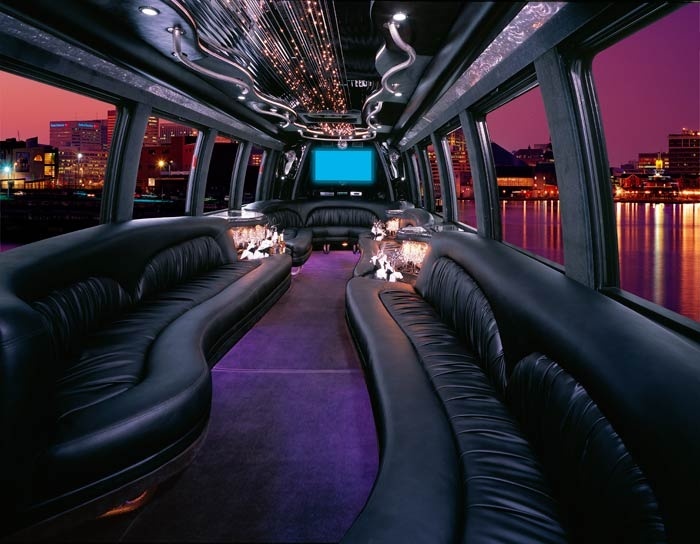 Our luxury party bus rentals are air conditioned and equipped with deluxe sound system and TV/DVD/CD and iPod hookups so sit back and get comfortable it's party time! All this comfort at very affordable rates. Use our corporate clean party bus for your company events, dinners, transfer of working groups or incoming seminar groups... we are also airport legal so we can transport you to or from southern California airports. Or use for weddings or proms! Our party buses are very popular due to their utility but also their stylish looks and interior comfort! Orange County offers tons of fun places to visit, tour or party and have a good time and let's face it.... with Orange County traffic you'll be on the road a while so be a hero and arrange a nice comfy ride for your group! We'll take you anywhere you want to go in Orange County, LA County, San Diego County or Palm Springs! Need party bus transportation for a large group? We can help! We can provide party bus transportation for up to 500 people at a time! Call us! Our large group transportation specialist will be glad to help you work out the transportation details for your group. 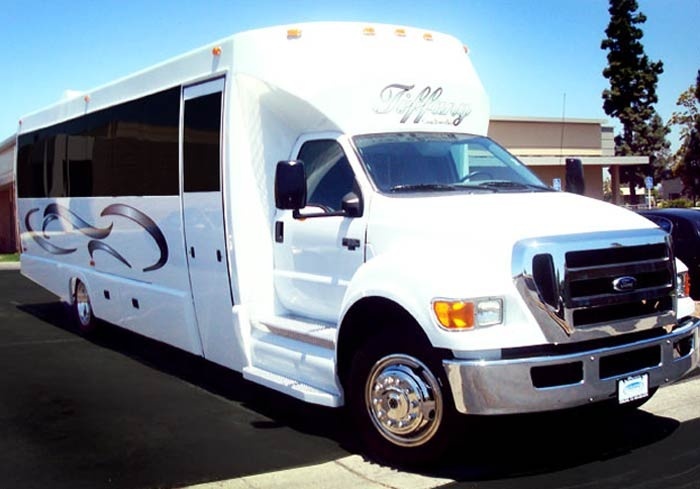 It's hard to say which of the party bus companies in Orange County offers the best all around party bus rentals or party bus service. 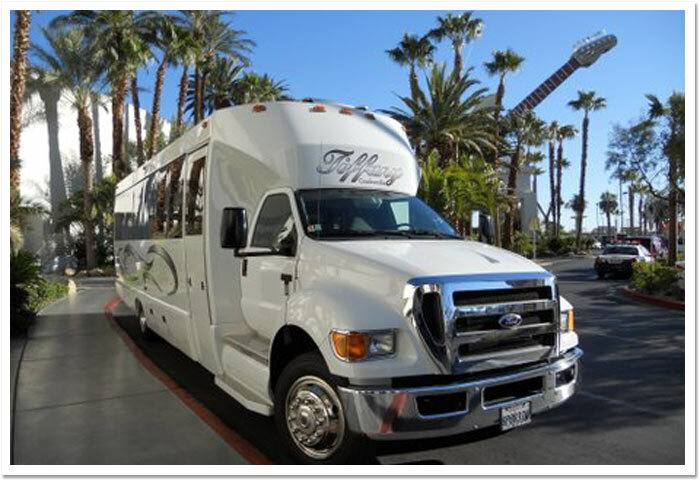 Our customers tell us that they are very happy with the Party bus rentals we provide for them! The party buses are clean, arrive on time and they are very pleased with our party bus rates. Looking For Cheap Party Bus Rental Rates? Our rates for party bus rentals are very reasonable but not the cheapest! That's because we provide newer, more comfortable, stylish buses for you to ride in... NOT the older, beat up, poor suspension buses the cheap party bus rental companies use. And our customers, especially the ones who previously rode in one of those cheap charter bus rentals, tell us it's worth spending a few bucks more to ride in a comfortable minibus bus rental they're not ashamed to be seen in. Find us with Party Bus Orange County CA or Orange County Party Bus searches! Our party bus rental website is an outstanding resource for party buses and chartered bus rental service.